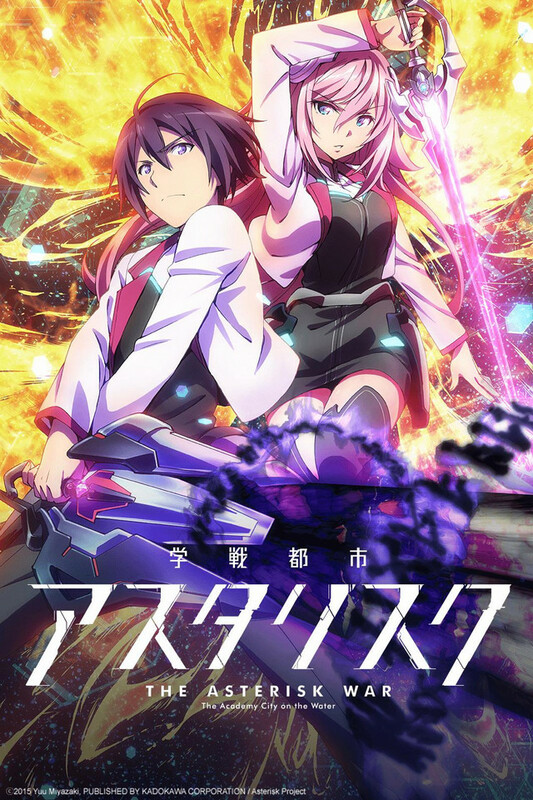 Although Asterisk War may have had an almost identical start to that of Chivalry of a Failed Knight and falls into a magical high school category that’s become a bit over saturated, Asterisk War feels like it has a chance to be different. While I wouldn’t exactly call the series deep right now, I can still say that I find it pretty fun to watch. With a world where people consistently battle is combined with a search for the main character’s sister, we find ourselves fidgeting as we wait for the next episode. Beautiful Bones seems to deviate from the others on this list in which it is more of a realistic murder mystery series. Similar to the american TV show Bones in subject matter and a character dynamic of that of Sherlock, we can tell that the pair will do more than discover more bones and get into simple shenanigans. While Seraph of the End has only aired one episode of its’ second season at this point, it was enough to spike my interest in the series once again. I really enjoyed the first season and it’s been difficult waiting for the show to come back. The wait feels worth it now and the first episode wasted no time in getting the ball rolling for what I’m thinking will be a very exciting new season. After the first two episodes of Comet Lucifer have aired, it appears that this show could turn into a rather enjoyable and fun mecha anime. With a mech that is animorphic and has a bit of an attitude. Things can only get more interesting and quirky as the series continues. Another that’s a bit unique when compared to others on this list is Owarimonogatari. The uniqueness comes from the fact that its’ part of the ongoing Monogatari series, which is just a beaufitul and unique snowflake all on its’ own. While the series doesn’t really follow typical conventions or timelines, Owarimonogatari is actually in the latter part of the Monogatari timeline. While it’s going to have a lot to offer, Owarimonogatari is exciting for fans of the series just because it’s filling in more blanks in the story. Talk about a series with some impact. One Punch Man is about as adrenaline fueled as a series can come. Aside from the action, the series manages to maintain a humorous component that certainly can’t be overlooked. There’s even a bit of bitter sadness as we watch Saitama struggle with his dissatisfaction or perhaps apathy with his life, even after he’s become an amazingly strong super hero. Whatever the draw is for you, it’s hard to deny that it’s there. One last sequel that’s come back with a bang is Noragami‘s second season: Noragami Aragato. With the series moving into the incredibly popular Bishamon arc from the manga, I have to say I feel like the hype for this one has been justified. Every episode we’ve seen so far has been quality and contained just about everything that made Noragami so much fun to watch when the first season aired early last year. Magic girls, superpowers, secret organizations, and an incredible color palate this show certainly hasn’t disappointed us so far. Think of the insanity that Punchline brought us with similar animation and color to Saekano, Studio Bones has done a great job with this original anime so far we hope the trend continues. That’s where we’re at right about now. There are still some other series out there we haven’t gotten to check out just yet, so this list is definitely subject to change. If you feel like we’re missing something or are sorely mistaken about our choices, feel free to call us out and let us know what you think should be on this list!